Back when I started Vital Narrative, I wanted to buck several trends such as providing authors with a bigger royalty share, being transparent about processes and contracts, among other things. I also designated release days for Fridays, because (if I’m being honest) it just made more sense to me at the time. However, as we continue to evolve as a company, I’ve changed my mind on a few things in lieu of being a little more traditional. I still believe in transparency and giving authors four times the average royalty share. But release days on Fridays? Ehhhhh. Traditional release days for books are on Tuesdays, mostly because the NYT bestseller list is based on sales from Tuesday to Monday and then tallied on Wednesday, which is when the list is actually compiled. That being said, our release dates will now be set on Tuesdays to align with traditional publishing days, beginning with Small Nights Gospel, which will release on Tuesday, February 19th. Darlene Campos' second novel, Summer Camp Is Cancelled, will be released on August 3rd, but today, we officially reveal the cover. Pre-orders will begin Friday, June 22nd. 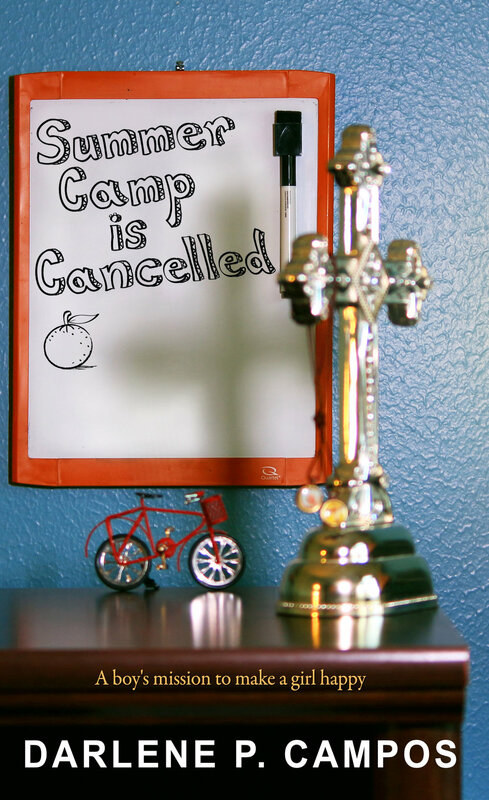 Summer Camp Is Cancelled is a young adult novel about Lyndon, a Mexican boy from Bat Springs, Texas who is enamored with his best friend Melody, a deaf girl who uses a whiteboard as her voice. Pre-orders will begin Friday, June 22nd. About a month after our third anniversary, I lost someone close to me and it took a while for me to get over. Coincidentally, she was incredibly vital to Vital Narrative since the very beginning and I would be remiss not to mention her contributions to the company. Her name was Panda, and back when I was still sleeping on my grandmother's couch, she allowed me to create and share my talents with the world. That's because Panda was my 21-inch iMac computer and she was where every Vital Narrative document lived. Unfortunately, old age caught up with her and despite my best efforts, she still ended up joining that old Apple graveyard in the sky. So after I grieved an appropriate amount of time, I found a suitable replacement named Simba and immediately got back to work. If there was a silver lining to the whole ordeal, it was that everything had to be transferred over and it gave me a chance to go through our archives. I went on a wild trip down memory lane and came across some of our old logos from WAAAAAY back. Looking at where we came from made me even prouder of what we've become and where we are headed in the future. But in doing that, I knew it was time for the company itself to evolve into something more representative of what's to come. When we first began, the bear was the key element of our brand, meant to represent how multi-faceted people of color are despite mainstream media's obsession with pigeonholing our experiences. To the casual observer, this was probably just another post - but it was really the mark of our new identity: we are the lions who learned to write. With fake news running rampant these days, it's imperative that we write and share authentic experiences with the world. It's easy to complain about how we are portrayed in media, but now, more than ever, we have the ability to control these narratives. The hunters have told tall tales of their journeys for centuries - but now that the lion has the pen, we have a duty to honor all that came before us. We are the lions who learned to write - and writing is what we will do. Floods aren’t anything new in Houston. We’ve gone through hurricanes before. We knew the neighborhoods most prone to flooding before Harvey paid us his visit. We prepared ourselves with full hoards of food, bottled water, and gas. We thought we were ready. Harvey showed us we were wrong the minute he arrived. Yet, unlike thousands of fellow Houstonians and Texans in other cities, I didn’t lose anything. I didn’t lose my car. I didn’t lose my house. I didn’t lose my life. The only physical loss I had was a couple of pounds because I was so petrified, I could barely eat. Harvey made me lose weight. That’s it. Harvey also made me lose pieces of my heart. The neighborhood where I grew up is in shambles. A beloved bakery my fiancé and I visited whenever we wanted a good dessert is gone. The libraries I practically lived in during my college years are severely damaged. Watching your city, the place you call home, conquered by floodwaters is agonizing. Yet, Harvey did not take Houston’s hope. 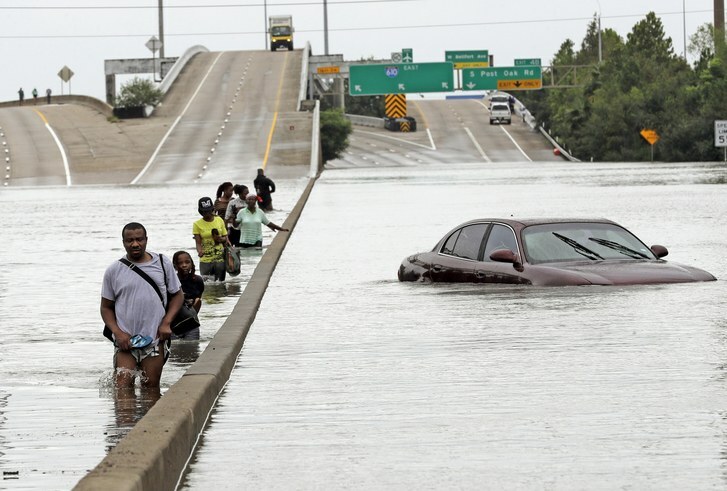 We Houstonians watched our city be ravaged by Harvey. We Houstonians have come together to rebuild. After Harvey, I was overjoyed to be unharmed, but I felt so guilty to be spared. Why didn’t Harvey come for me? He tried. He flooded my entire street and then the water crept up to the rear of my car. By morning, the water receded. Harvey came close. For others, he came full force and showed no mercy. I pledge to donate my royalties from September 15th through October 15th to the Greater Houston Community Foundation’s Hurricane Harvey Relief Fund. For the next month, all of my royalties will go directly to helping Houstonians rebuild their lives. Please visit https://ghcf.org/hurricane-relief/ for more info or to donate. Earlier this month, we revealed a sneak preview of the cover for Behind Mount Rushmore when Darlene Campos dropped her Spotify playlist, which featured that infamous blue-and-white truck (if you haven't had a chance to check out her amazing playlist, be sure to listen below). Pre-orders will begin on April 14th. Vital Narrative's newest signee Darlene Campos will finally release her much anticipated debut, Behind Mount Rushmore on May 19. Behind Mount Rushmore follows the life of Geronimo "Nimo" Thunderclap as he grows up on Pine Ridge Indian Reservation in South Dakota. "It was important to me for Vital Narrative Press to be the company that brings this novel to light," Founder & CEO Gregory Hedgepeth II said. "The very first time I read it, I was completely blown away. I literally stopped everything I was doing, cancelled all the appointments I had scheduled for that day and spent it reading her book. 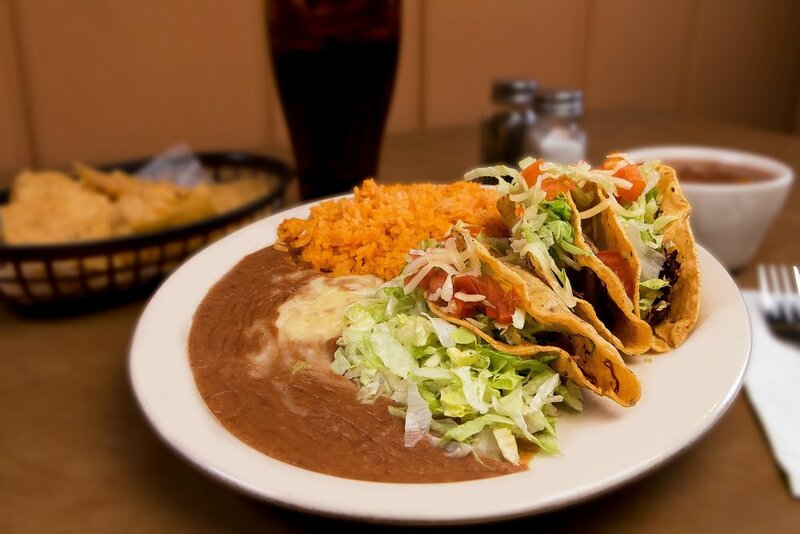 It's THAT good. We really can't wait to share this project with you." Pre-orders for Behind Mount Rushmore will begin on April 14. What's Better Than A Sale For Christmas? What's Next For Garvey Hemisphere? Soooooooo, the other day someone asked me if I had retired from writing. The answer is simple: of course not. In fact, I'm just getting started out here in these literary streets. I know it's been well over a year since I put out something new, but trust, I've been writing every single day since I dropped A Collection of Echoes last spring. So I know what you're thinking - if I've been writing every day, what's the hold up? Let's just say I've just been busy with... ummm... various activities that have been taking up a lot more time than I imagined they would. But anyway, I'm working on several different projects all scheduled to drop within the next 12-16 months. First is my long-awaited spoken word album, Smudge. I've been putting that off for at least 3-4 years now and it's time to put it out. The pieces are all written - it's just a matter of getting in the booth and getting all the vocals together. The plan is to put it out before the end of 2016, but it could easily stretch to early 2017. I just want to make sure I'm happy with it. In addition to that, I've been working diligently on my second novel, A Very Strange Fascination With Violence. It's going to be the first book of a trilogy and I'm really excited to put that out. I really think the fans will dig it. It's got romance, murder, government conspiracies and all that good stuff that people love. I'm also working on a web series called Kush & Corinthians. As of right now, I'll be writing and directing. I haven't decided if I'm going to succumb to the acting bug that's been digging at me for the past year or so, but I'm definitely open to challenging myself and doing something completely out of my comfort zone. It's shaping up to be a stoner dramedy, but I'm really, really excited about it. The script is still very early in development, but I'm shooting for next spring to get that out. My good friend Q. Vergara and I have been kicking around ideas for a book project called Down The Rabbit Hole which should be out by next summer. There's also going to be a documentary included with that project that we'll be shooting out in Cali, so expect a lot of behind-the-scenes stuff when that project is about to drop. And last, but certainly not least, The Dirty Dozen: Volume 3 will be releasing on December 12. If you were a fan of the first two, you're going to love the third (and possibly final) installment. So there's your update. I hope you're as excited as I am for all these projects to come to fruition. I'll be dropping more and more info as these projects reach completion. That being said, if someone comes up to you and asks if you've heard about Garvey Hemisphere dropping anything new, you already know what to say.